In my post about pork sorpotel, I had mentioned about sanna being the perfect accompaniment to it (pork sorpotel). Hence, that post would be incomplete without the post on sanna's. Frankly, I intended doing this post immediately after that one; but somehow it remained saved in my drafts until I could almost hear the pork sorpotel crying for an accompaniment and i realised, it was time to do this post. 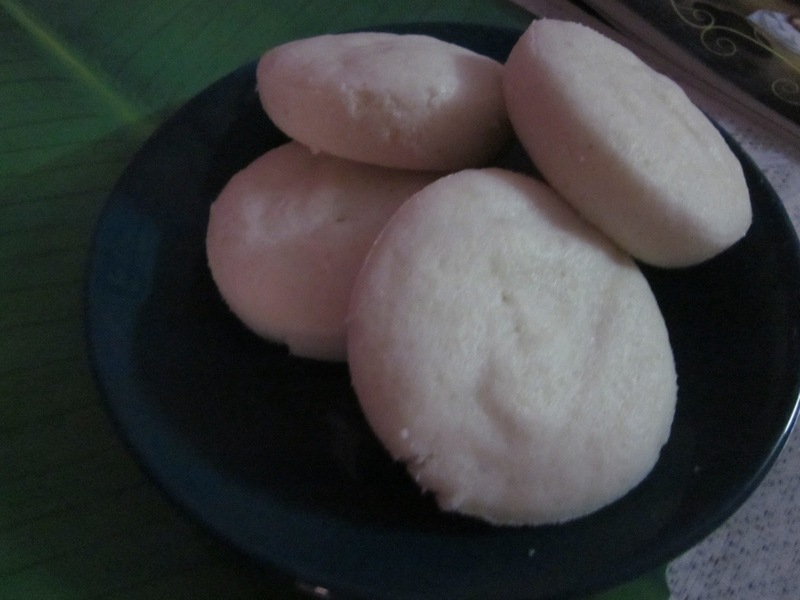 Sanna's (pronunced 'Sun- naa') are Mangalore's version of the South Indian Idli. 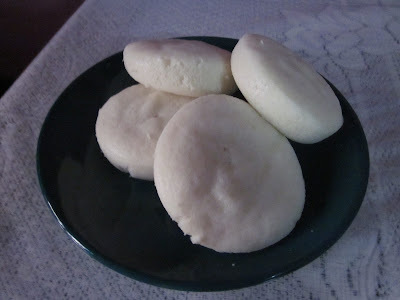 Although idlis are smaller in size and rougher in texture. Sanna's are slightly bigger in height and smoother to the touch. I'm sure every Manglorean would have fond memories have fond memories of having eaten them at roce (pre-wedding) functions and at weddings. But that's not all. As an absolutely healthy option, you could eat them (and as many as you want) for breakfast, lunch or dinner and not feel guilty about adding calories. Believe you me, they taste is awesome if you having it with chutney, an exquisite gravy or simply dunking it into a cup of tea. The trick to making Sanna's is getting the batter right. A lot of people use yeast as a fermenter; but my mum (from whom I learnt this recipe) never uses it but the result is the same nevertheless. Adding a handful of Poha (puffed rice) is the secret to makes the sanna’s softer and fluffier. Soak the rice and Urad dal together for at least 6hours (preferably overnight). Next, grind both it together (along with the poha) to a thick batter. The consistency should be thick, but you should be able to pour it easily. Transfer to a bowl large enough to accommodate the batter as it would rise during fermentation. 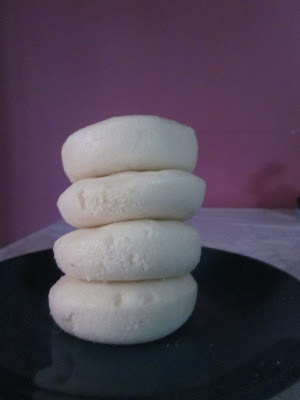 After the batter ferments, add salt to the batter. Pour water in a large steamer and bring to a boil. Keep the moulds ready and pour upto 3/4th full. Keep the moulds in the steamer and allow steaming for 10 minutes. Once done demould and allow to cool for a while. Serve with chutney or pork sorpotel.